Daily Prizes: A total of forty-two (24) daily prizes are available to be won during the Contest Period. 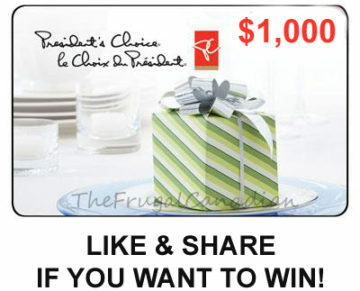 Each Daily Prize consists of a $100.00 President’s Choice gift card. Grand Prizes: A total of five (5) Grand Prizes are available to be won during the Contest Period. Each Grand Prize consists of a $1,000.00 issued in the form President’s Choice gift cards. Closes on January 2, 2019.